Since 1948, when Ferdinand Porsche first began production on what would become the Porsche 356, this iconic automaker has occupied a position within the industry that very few competing manufacturers can claim. Not only does Porsche boast a legendary lineup of prestigious models, and not only is its famous coat-of-arms logo among the most recognizable emblems on the planet. Instead, Porsche represents the height of German engineering, blending style and all-world performance in ways that only become more impressive with time. Legendary sports cars such as the 911 and Cayman offer attitude in abundance, while newer additions to the lineup such as the Panamera and Cayenne prove without a doubt that the creativity well at Porsche is anything but dry. 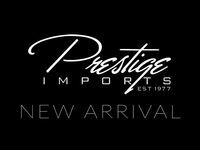 Visit Prestige Imports today to check out our lineup of Porsche models in North Miami Beach, FL! Across the entire Porsche lineup, from the compact Boxster to the accommodating Cayenne, turbocharging is the name of the game. Drivers are rewarded with more power, greater torque output, higher rpm limits and lower fuel consumption as a result. Free-flowing, rear-sweeping exterior lines and handcrafted interior furniture make every Porsche experience something that a driver won’t soon forget. With a Porsche, and particularly with its iconic design, it isn’t enough to coast on reputation alone. While performance has long been the name of the game for Porsche, don’t sleep on its all-new technology features. The new Porsche Communication Management (PCM) system offers Apple CarPlay connectivity, an LTE telephone module, and much more. A sizeable segment of today’s drivers look on the Porsche lineup with envy, and with an unmistakable air of, “Well, maybe someday.” At Prestige Imports, however, we believe that there is never a bad time to make a Porsche model your own, and that’s a sentiment that we’re happy to share with drivers in North Miami Beach, Fort Lauderdale, and beyond. For the first time in its history, drivers of all ilks can find a Porsche model that suits their needs and lifestyle. From the freewheeling driver who likes to put the top down, to the upscale family looking to blend functionality and sophistication in one laudable package, the Porsche lineup more than lives up to the challenge that has been set. From the 718 series to the Panamera to the Macan and Cayenne, there’s never been a better time to make a Porsche your own. Are you interested in checking out our Porsche lineup at Prestige Imports? To inquire about financing, to view our inventory, or to schedule a test drive, visit our North Miami Beach dealership today!